What is Your Legacy in Life? - Ignite Christian Church Last week Fiona’s father passed away. This prompted me to think about the kind of legacy we leave behind us. It seems when we are confronted by our own death and mortality we start to think about our legacy, in other words, what we leave behind for our children and for generations to come... your legacy! Paul faced this very situation in 2 Timothy 4. He faced imminent death, imprisoned in Rome awaiting execution, and this prompted him to look back on his life and ministry, but also to look forward to what was to come after death… 2 Timothy 4:6-8 (ESV Strong's) For I am already being poured out as a drink offering, and the time of my departure has come. I have fought the good fight, I have finished the race, I have kept the faith. Henceforth there is laid up for me the crown of righteousness, which the Lord, the righteous judge, will award to me on that Day, and not only to me but also to all who have loved his appearing. Psalms 90:2 (ESV Strong's) Before the mountains were brought forth, or ever you had formed the earth and the world, from everlasting to everlasting you are God. God always has been and always will be. He has no beginning and no end. God lasts forever, in fact, God defines forever! That is why we worship Him, and will for all eternity! Isaiah 40:8 (ESV Strong's) The grass withers, the flower fades, but the word of our God will stand forever. This Bible, God’s Word, stands forever. That’s why I encourage you strongly to read it. Do the Bible reading plan, read a little bit every day, and absorb the Word of God into your life. Any second you invest into God’s Word is an investment in eternity. I once heard a comedian say, “I’m going to live forever… so far so good!” He may not realise it, but he’s exactly right! The Bible teaches that people are eternal, and that we face either eternity with Christ in heaven, of eternity in hell, separated from God… Matthew 25:46 (ESV Strong's) And these will go away into eternal punishment, but the righteous into eternal life.” When you die you face judgement. God will look at you and He will see only 2 types of people. He will not see good and bad. He will not see right and wrong, He certainly will not see successful and unsuccessful people. He will only see those who have received His Son, and those who have rejected His Son. Those in Christ go to Heaven. Heaven is being with the Lord for eternity. What’s it like? I’m not entirely sure, but I do know it has God, therefore it has everything to do with God. Heaven is love, light, peace, joy, blessing, hope, etc. Hell is where God is not, and therefore it’s the exact opposite of Heaven. I hear people say, “Hell will be ok, my mates will be there, we’ll bring a pack of cards, drink a few beers and have a great time.” NO THEY WON’T! Hell is hate, fear, isolation, there’s no mates in hell! It is pain and torment for all eternity, and perhaps the greatest torment is looking back in all the times you could have accepted Jesus, but didn’t! The souls of men and women last forever, in either Heaven or hell! So unless we invest our lives into either of those three things, we are not investing in a lasting legacy! We tend to remember the good times more so than the bad. Our minds seem to filter out a lot of the bad, Rose coloured glasses and all. Remember the good old days? I was there for some of them, and they were not that good! No cell phones. No internet. No colour TV. No computers. The Cold War, etc. We remember the last things rather than the older things. Don Bradman was the world’s greatest batsman. His highest score was 452 not out, he scored 117 centuries, 37 double centuries with 6 of those over 300. What a batsman! But many remember most his final innings… bowled for a duck. Had he scored just 4 runs he would have averaged 100 in Test matches. As it was, he averaged 99.94, which is still awesome next to 51 for Ricky Ponting and Steve Waugh! If you have lived a life that leaves a poor legacy, this is great news. There’s a chance to redeem it, no matter what you’ve done, because God can restore your life and your legacy! So what will you be remembered for as your legacy? Galatians 6:7-8 (ESV Strong's) Do not be deceived: God is not mocked, for whatever one sows, that will he also reap. For the one who sows to his own flesh will from the flesh reap corruption, but the one who sows to the Spirit will from the Spirit reap eternal life. Your legacy, what you leave for your children, is directly dependent on your behaviour. If you have honoured and cherished your kids, and shown them this, then your legacy will be vastly different if you have abused or manipulated your children. When it comes to your legacy, your values and behaviour are instilled in your children, and then on into your grandchildren and great-grandchildren. In legacy, you truly reap what you sow… Hosea 8:7 (ESV Strong's) For they sow the wind, and they shall reap the whirlwind. If you live a life of immorality, that’s the legacy you leave your children. Adulterers father adulterers. Single mums beget single mums who beget single mums. If you sow the wrong thing in your life, don’t expect your children to be any different, unless something major happens, like you come to Christ and change your legacy. So what kinds of things do our kids inherit from us? Not just eyes or ears. When your children are young, you condition how they think about all kinds of things. If you vote liberal, often so will they. If you work hard, they tend to do the same. If you’re in business, often they will be too, if you’re a Christian,… Psalms 78:3-4 (ESV Strong's) things that we have heard and known, that our fathers have told us. We will not hide them from their children, but tell to the coming generation the glorious deeds of the Lord, and his might, and the wonders that he has done. Children are great imitators, so give the,m something great to imitate in your life! If you swear, so will they. If you are dishonest and lie, or sleep around, or smoke, they will tend to do the same. The moral standard you set, they tend to follow. But here’s the great news, if you have a vibrant relationship with Christ, the chances are much higher that they will too! Proverbs 22:6 (ESV Strong's) Train up a child in the way he should go; even when he is old he will not depart from it. Deuteronomy 30:19 (ESV Strong's) I call heaven and earth to witness against you today, that I have set before you life and death, blessing and curse. Therefore choose life, that you and your offspring may live, If you choose life, if you choose Jesus, if you choose blessing, the chances are much higher that they also will choose life, not death. They watch you and your decisions, and do likewise. My dad made very wise and godly decisions, and I saw the result and wanted to do the same in my life, and for my children. Psalms 78:5-6 (ESV Strong's) He established a testimony in Jacob and appointed a law in Israel, which he commanded our fathers to teach to their children, that the next generation might know them, the children yet unborn, and arise and tell them to their children, How we parent affects how our children parent. If we are distant, ignoring our kids, busy with our own lives, they will grow to be that way. Remember the song “Cats in the Cradle.” It was written by Harry Chapin and talks about fathers not having time for their kids. His wife challenged him about his touring schedule, and he said he would spend time with his son after his summer tour. He was killed in a car crash before how could make time for his son. Acts 2:38-39 (ESV Strong's) And Peter said to them, “Repent and be baptized every one of you in the name of Jesus Christ for the forgiveness of your sins, and you will receive the gift of the Holy Spirit. For the promise is for you and for your children and for all who are far off, everyone whom the Lord our God calls to himself.” If you accept Jesus, and if you make Him Lord of your life, chances are your children will too. If you reject Him, chances are much higher that they will too, and that can be your legacy. Listen to this poem … Daddy had a little boy; His soul was white as snow. He never went to Sunday school Cause Daddy wouldn’t go. He never heard the Word of God. That thrills the childish mind, while other children went to class, This child was left behind. And as he grew from babe to youth, Dad saw to his dismay, a soul that once was snowy white, Became a dingy grey. Realising that his son was lost, Dad tried to win him back. But now the soul that once was white had turned an ugly black. Dad even started back to church, and Bible study too; He begged the preacher, "Isn’t there some thing that you can do?" The preacher tried, and failed, and said "We’re just too far behind; I tried to tell you years ago, But you would pay me no mind." And so another soul was lost, that once was white as snow; Church on Sunday would have helped, But Daddy wouldn’t go. Another man, Jonathan Edwards, believed in God and in his Christian training and married a girl of like character. From that union 729 descendants were studied and they discovered that 300 were preachers, 65 were college professors, 13 were university presidents; 6 authors; 3 U.S. Congressmen and 1 was vice president of the United States. Are generational curses real? You bet, you see them all around every day. Can you break the curse? Absolutely, because God can restore the years the locusts have eaten, and your legacy, for generations to come! Let me pause to offer some hope to those of you who tried to bring your children up as believers only to find them rejecting Christ. You can do all the right things, teach them well and train them in the things of God, but at some point you relinquish responsibility and they are old enough to make their own decisions. If your children have walked away from Christ, don’t get angry at God, and stop beating yourself up about it, even if your decisions have added to their predicament. Whatever their upbringing, they reach a point where they must take responsibility for their actions and decisions. They will not stand before God with you, with their spouse, friends or anyone else. They will stand alone and give account for their words and deeds. Bu the Bible says this... Proverbs 14:26 (ESV Strong's) In the fear of the Lord one has strong confidence, and his children will have a refuge. So don’t beat yourself up, instead, pray and believe for their salvation. Pray with everything you have, believe with all your heart. They may appear to be rejecting Christ right now, but it ain’t over till it’s over! Many walk away, then come back to Christ to live powerful, effective lives! Having a bad legacy passed on to you by your parents does not condemn you to repeat the same sins! You might be unsure of how to break the curse cycle, but God isn’t! And He cares about your legacy! Galatians 3:13-14 (ESV Strong's) Christ redeemed us from the curse of the law by becoming a curse for us—for it is written, “Cursed is everyone who is hanged on a tree”— so that in Christ Jesus the blessing of Abraham might come to the Gentiles, so that we might receive the promised Spirit through faith. Jesus Christ paid the penalty for your sins, even the ones you may see, to have inherited from your upbringing. Breaking God’s laws incur curses that can last many generations, and the devil has a field day messing up whole families for generations. But if generational curses are real, how much more are generational blessings? So how can you break a bad legacy? How many times have you said, I’m not going to be like mum or day, then find yourself taking to your kids sounding exactly like your parents! Behaviour and actions are passed down, right? But a spiritual curse is more than just irritating behaviour. There can be demonic influence from your parents passed to you, and you need to recognise that this is not just a modelled behaviour, it is a spiritual attack… Ephesians 6:12 (ESV Strong's) For we do not wrestle against flesh and blood, but against the rulers, against the authorities, against the cosmic powers over this present darkness, against the spiritual forces of evil in the heavenly places. You cannot fight a spiritual generational curse with the flesh… recognise it for what it is, a spiritual attack not just a series of modelled behaviours! So many people roll over and cop out of big changes or decisions, and blame their parents or upbringing. They say, “I drink because dad did.” Or “I have bad relationships like my mum did.” If you recognise a bad legacy passed down from your parents, you need to decide that you’ve had enough of this curse. You need to decide to fight, and the only way you can successfully overcome a spiritual legacy is to turn to Christ, and ask Him to fight for you! Isaiah 54:17 (ESV Strong's) no weapon that is fashioned against you shall succeed, and you shall refute every tongue that rises against you in judgment. This is the heritage of the servants of the Lord and their vindication from me, declares the Lord.” If Christ is for us, who can be against us? If you come to Jesus today, if you repent and seek to serve Him, He will empower you to triumph over the enemy, because… 1 John 4:4 (ESV Strong's) Little children, you are from God and have overcome them, for he who is in you is greater than he who is in the world. Pray and seek God, and begin to change the way you speak about your legacy. Stop saying, “My parents made me do it,” Galatians 5:1 (ESV Strong's) For freedom Christ has set us free; stand firm therefore, and do not submit again to a yoke of slavery. You can be set free from the curses of a bad legacy. It will often times not be a one off prayer but a long journey seeking God, but He promises to empower and sustain you… Matthew 6:33 (ESV Strong's) But seek first the kingdom of God and his righteousness, and all these things will be added to you. Trying to break words spoken over you or bad legacy by yourself can be a long, hard, lonely road. But here at Ignite there are people who will stand with you, people who love you, will be there in the good and the bad and will hold you up when you think you are going to fall! Proverbs 27:17 (ESV Strong's) Iron sharpens iron, and one man sharpens another. Overcoming an evil legacy is not a once off thing. You will have to persevere, to keep going even when you fail and fail again. With loving support around you, with the power of the Holy Spirit within you, you can overcome curses in your life, if you do not give up. Galatians 6:9 (ESV Strong's) And let us not grow weary of doing good, for in due season we will reap, if we do not give up. You get one life, and you reap what you sow. Take a few moments and look back at the whole of your life. Are you happy and satisfied? Do you feel like you are creating the right legacy for your children and their children? Psalms 103:17 (ESV Strong's) But the steadfast love of the Lord is from everlasting to everlasting on those who fear him, and his righteousness to children's children, Serving Jesus is the best way to leave a legacy for your children which will last eternity! We’ve established that we reap what we sow, later than we sow and more than we sow. Some of you look back at your life with regret, knowing that in the past, maybe even now, you’ve said and done things that you cannot take back, that have driven your children away from Christ. Proverbs 13:22 (ESV Strong's) A good man leaves an inheritance to his children's children, but the sinner's wealth is laid up for the righteous. YOU’RE A NEW CREATION… ACT LIKE IT! If you have not made wise decisions, if you have driven your children away from Christ… and ultimately coming to Jesus is the ultimate spiritual legacy you can leave… then there is hope. When you come to Christ you are a new creation! 2 Corinthians 5:17 (ESV Strong's) Therefore, if anyone is in Christ, he is a new creation. The old has passed away; behold, the new has come. Money can be restored, property can be restored, cars and paintings and photographs and even reputations can be restored. It takes time and effort, but it can be done. And your legacy is no different. No matter how bad your behaviour, or how bad your speech or how tragic your lifestyle or legacy, God can and will restore to you the years the locusts have eaten. I can’t do it, you can’t do it, but He can! No matter what has gone before, Come to Christ this morning and He will start to restore your legacy. Let’s pray and believe God for our kids, and their kids for generations to come! When I die, I don’t want them to write on my grave, He was a good optometrist, or he was a great pastor, or musician. I’d like to think they might write something like, He walked with God. But my legacy will not be a pile of ashes or a fallen down headstone. It will be reflected in the lives of my children, and their children for generations to come! If you have blown it when it comes to your kids, I want to pray for you today. If you feel that your parents have passed on something, some habit, some mannerisms that you don’t want in your life, I want you to come to the Lord this morning, and we will begin the process of throwing off that bad legacy, and embracing your new life! You’re a new creation and you do not have to put up with what gets passed down to you. It's time to create your legacy in Christ! Your legacy in life is something you leave for your children, and their children, for generations. Like it or not, everybody leaves a legacy of some sort behind them. Every action, everything we say and do can cause a ripple effect, and your legacy yields some kind of fruit, either good or bad, often lasting generations. Last week Fiona’s father passed away. This prompted me to think about the kind of legacy we leave behind us. It seems when we are confronted by our own death and mortality we start to think about our legacy, in other words, what we leave behind for our children and for generations to come... your legacy! So many of us spend so much time doing things that ultimately have no value! I look back on my life, and see many great highlights. I have received accolades, awards and achievements … nice at the time, but quickly they lose value as people and life moves on. We’ve bought things, invested and made money, and also lost loads of money. We’ve made great friends, and lost a few also through the years. God always has been and always will be. He has no beginning and no end. God lasts forever, in fact, God defines forever! That is why we worship Him, and will for all eternity! This Bible, God’s Word, stands forever. That’s why I encourage you strongly to read it. Do the Bible reading plan, read a little bit every day, and absorb the Word of God into your life. Any second you invest into God’s Word is an investment in eternity. When you die you face judgement. God will look at you and He will see only 2 types of people. He will not see good and bad. He will not see right and wrong, He certainly will not see successful and unsuccessful people. He will only see those who have received His Son, and those who have rejected His Son. Those in Christ go to Heaven. Heaven is being with the Lord for eternity. What’s it like? I’m not entirely sure, but I do know it has God, therefore it has everything to do with God. Heaven is love, light, peace, joy, blessing, hope, etc. Hell is where God is not, and therefore it’s the exact opposite of Heaven. I hear people say, “Hell will be ok, my mates will be there, we’ll bring a pack of cards, drink a few beers and have a great time.” NO THEY WON’T! Hell is hate, fear, isolation, there’s no mates in hell! It is pain and torment for all eternity, and perhaps the greatest torment is looking back in all the times you could have accepted Jesus, but didn’t! The souls of men and women last forever, in either Heaven or hell! So unless we invest our lives into either of those three things, we are not investing in a lasting legacy! When we are young, we rarely think about our legacy, we just live for the moment, but as we age we start to think more and more about what we leave behind for future generations of those we love. Trouble is, by late in life many of us have created a toxic, horrible legacy, and our legacy is tainted long before we start to think about it! Don Bradman was the world’s greatest batsman. His highest score was 452 not out, he scored 117 centuries, 37 double centuries with 6 of those over 300. What a batsman! But many remember most his final innings… bowled for a duck. Had he scored just 4 runs he would have averaged 100 in Test matches. As it was, he averaged 99.94, which is still awesome next to 51 for Ricky Ponting and Steve Waugh! If you have lived a life that leaves a poor legacy, this is great news. There’s a chance to redeem it, no matter what you’ve done, because God can restore your life and your legacy! So what will you be remembered for as your legacy? If you live a life of immorality, that’s the legacy you leave your children. Adulterers father adulterers. Single mums beget single mums who beget single mums. If you sow the wrong thing in your life, don’t expect your children to be any different, unless something major happens, like you come to Christ and change your legacy. So what kinds of things do our kids inherit from us? Not just eyes or ears. things that we have heard and known, that our fathers have told us. We will not hide them from their children, but tell to the coming generation the glorious deeds of the Lord, and his might, and the wonders that he has done. Children are great imitators, so give the,m something great to imitate in your life! If you swear, so will they. If you are dishonest and lie, or sleep around, or smoke, they will tend to do the same. The moral standard you set, they tend to follow. But here’s the great news, if you have a vibrant relationship with Christ, the chances are much higher that they will too! If you choose life, if you choose Jesus, if you choose blessing, the chances are much higher that they also will choose life, not death. They watch you and your decisions, and do likewise. My dad made very wise and godly decisions, and I saw the result and wanted to do the same in my life, and for my children. How we parent affects how our children parent. If we are distant, ignoring our kids, busy with our own lives, they will grow to be that way. Remember the song “Cats in the Cradle.” It was written by Harry Chapin and talks about fathers not having time for their kids. His wife challenged him about his touring schedule, and he said he would spend time with his son after his summer tour. He was killed in a car crash before how could make time for his son. Daddy had a little boy; His soul was white as snow. He never went to Sunday school Cause Daddy wouldn’t go. a soul that once was snowy white, Became a dingy grey. Realising that his son was lost, Dad tried to win him back. But now the soul that once was white had turned an ugly black. He begged the preacher, "Isn’t there some thing that you can do?" Church on Sunday would have helped, But Daddy wouldn’t go. Let me pause to offer some hope to those of you who tried to bring your children up as believers only to find them rejecting Christ. You can do all the right things, teach them well and train them in the things of God, but at some point you relinquish responsibility and they are old enough to make their own decisions. So don’t beat yourself up, instead, pray and believe for their salvation. Pray with everything you have, believe with all your heart. They may appear to be rejecting Christ right now, but it ain’t over till it’s over! Many walk away, then come back to Christ to live powerful, effective lives! Having a bad legacy passed on to you by your parents does not condemn you to repeat the same sins! You might be unsure of how to break the curse cycle, but God isn’t! And He cares about your legacy! Jesus Christ paid the penalty for your sins, even the ones you may see, to have inherited from your upbringing. Breaking God’s laws incur curses that can last many generations, and the devil has a field day messing up whole families for generations. But if generational curses are real, how much more are generational blessings? So how can you break a bad legacy? How many times have you said, I’m not going to be like mum or day, then find yourself taking to your kids sounding exactly like your parents! Behaviour and actions are passed down, right? You cannot fight a spiritual generational curse with the flesh… recognise it for what it is, a spiritual attack not just a series of modelled behaviours! If you recognise a bad legacy passed down from your parents, you need to decide that you’ve had enough of this curse. You need to decide to fight, and the only way you can successfully overcome a spiritual legacy is to turn to Christ, and ask Him to fight for you! no weapon that is fashioned against you shall succeed, and you shall refute every tongue that rises against you in judgment. Trying to break words spoken over you or bad legacy by yourself can be a long, hard, lonely road. 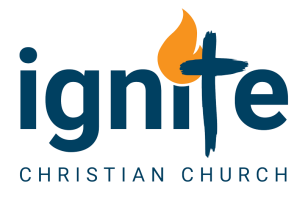 But here at Ignite there are people who will stand with you, people who love you, will be there in the good and the bad and will hold you up when you think you are going to fall! Overcoming an evil legacy is not a once off thing. You will have to persevere, to keep going even when you fail and fail again. With loving support around you, with the power of the Holy Spirit within you, you can overcome curses in your life, if you do not give up. You get one life, and you reap what you sow. Take a few moments and look back at the whole of your life. Are you happy and satisfied? Do you feel like you are creating the right legacy for your children and their children? Serving Jesus is the best way to leave a legacy for your children which will last eternity! We’ve established that we reap what we sow, later than we sow and more than we sow. Some of you look back at your life with regret, knowing that in the past, maybe even now, you’ve said and done things that you cannot take back, that have driven your children away from Christ. If you have not made wise decisions, if you have driven your children away from Christ… and ultimately coming to Jesus is the ultimate spiritual legacy you can leave… then there is hope. When you come to Christ you are a new creation! Money can be restored, property can be restored, cars and paintings and photographs and even reputations can be restored. It takes time and effort, but it can be done. And your legacy is no different. No matter how bad your behaviour, or how bad your speech or how tragic your lifestyle or legacy, God can and will restore to you the years the locusts have eaten. I can’t do it, you can’t do it, but He can! No matter what has gone before, Come to Christ this morning and He will start to restore your legacy. Let’s pray and believe God for our kids, and their kids for generations to come! When I die, I don’t want them to write on my grave, He was a good optometrist, or he was a great pastor, or musician. I’d like to think they might write something like, He walked with God. But my legacy will not be a pile of ashes or a fallen down headstone. It will be reflected in the lives of my children, and their children for generations to come! If you have blown it when it comes to your kids, I want to pray for you today. If you feel that your parents have passed on something, some habit, some mannerisms that you don’t want in your life, I want you to come to the Lord this morning, and we will begin the process of throwing off that bad legacy, and embracing your new life! You’re a new creation and you do not have to put up with what gets passed down to you. It's time to create your legacy in Christ!